Personality is defined as the differences in the characteristic patterns of behaving, feeling and thinking of an individual. A personality disorder is a type of mental illness in which a person’s personality traits have become rigid, inflexible, maladaptive and can hinder the person’s perception and association to situations and people. This can cause significant problems and restriction in the family, social activities, school, employment and other functional roles. The nursing care plan varies according to the kind of personality disorder, its severity, and life situation. A collaborative intervention is needed to make sure all of the clients social, medical and psychiatric needs are met. The goals of the nurse for clients with personality disorders focus on establishing trust, providing safety and comfort, teaching basic living skills and promoting a responsible behavior. Risk For Self-Mutilation: At risk for deliberate self-injurious behavior causing tissue damage with the intent of causing nonfatal injury to attain. ➨ Desperate need for attention. ➨ Emotionally disturbed or battered children. ➨ Feelings of depression, rejection, self-hatred, separation anxiety, guilt, and depersonalization. ➨ History of physical, emotional, or sexual abuse. ➨ High-risk populations (BPD, psychotic states). ➨ Inability to verbally express feelings. ➨ Mentally retarded and autistic children. ➨ Fresh superficial slashes on wrists or other parts of the body. ➨ Intense rage focused inward. ➨ Signs of old scars on wrists and other parts of the body (cigarette burns, superficial knife/razor marks). ➨ Statements as to self-mutilation behaviors. ➨ Patient will be free of self-inflicted injury. ➨ Patient will participate in impulse control training. ➨ Patient will participate in coping skills training. ➨ Patient will seek help when experiencing self-destructive impulses. ➨ Patient will discuss alternative ways a client can meet demands of current situation. ➨ Patient will express feelings related to stress and tension instead of acting-out behaviors. ➨ Patient will sign a “no-harm” contract that identifies steps he or she will take when urges return. ➨ Patient will respond to external limits. ➨ Patient will participate in the therapeutic regimen. ➨ Patient will demonstrate a decrease in frequency and intensity of self-inflicted injury. ➨ Patient will demonstrate two new coping skills that work for the client for when tension mounts and impulse returns. ➨ Types of mutilating behaviors. ➨ Stressors preceding behavior. Identifying patterns and circumstances surrounding self-injury can help the nurse plan interventions and teaching strategies suitable to the client. Identify feelings experienced before and around the act of self-mutilation. Feelings are a guideline for future intervention (e.g., rage at feeling left out or abandoned). ➨ A way to gain control over others. ➨ A way to feel alive through pain. ➨ An expression of self-hate or guilt. Secure a written or verbal no-harm contract with the client. Identify specific steps (e.g., persons to call upon when prompted to self-mutilate). Client is encouraged to take responsibility for healthier behavior. Talking to others and learning alternative coping skills can reduce frequency and severity until such behavior ceases. Set and maintain limits on acceptable behavior and make clear client’s responsibilities. If the client is hospitalized at the time, be clear regarding the unit rules. Clear and nonpunitive limit setting is essential for decreasing negative behaviors. Be consistent in maintaining and enforcing the limits, using a nonpunitive approach. Consistency can establish a sense of security. Use a matter-of-fact approach when self-mutilation occurs. Avoid criticizing or giving sympathy. A neutral approach prevents blaming, which increases anxiety, giving special attention that encourages acting out. After the treatment of the wound, discuss what happened right before, and the thoughts and feelings that the client had immediately before self-mutilating. identify dynamics for both client and clinician. Allows the identification of less harmful responses to help relieve intense tensions. Work out a plan identifying alternatives to self-mutilating behaviors. ➨ Anticipate certain situations that might lead to increased stress (e.g., tension or rage). ➨ Identify actions that might modify the intensity of such situations. ➨ Identify two or three people whom the client can contact to discuss and examine intense feelings (rage,self hate) when ther arise. Plan is periodically reviewed and evaluated. Offers a chance to deal with feelings and struggles that arise. Chronic Low Self-Esteem: Long standing negative self-evaluation/feelings about self or self-capabilities. ➨ Avoidant and dependent patterns. ➨ Childhood physical, sexual, psychological abuse and/ or neglect. ➨ Dysfunctional family of origin. ➨ Lack of realistic ego boundaries. ➨ Persistent lack of integrated self-view, with splitting as a defense. ➨ Evaluates self as unable to deal with events. ➨ Hesitant to try new things/situations. ➨ Longstanding or chronic self-negting verbalizations; expressions of shame and guilt. ➨ Overly conforming, dependent on others’ opinions, indecisive. ➨ Rationalizes away/ rejects positive feedback and exaggerates negative feedback about self. ➨ Patient will identify one skill he or she will work on to meet future goals. ➨ Patient will identify two cognitive distortions that affect self-image. ➨ Patient will identify three strengths in work/school life. ➨ Patient will reframe and dispute one cognitive distortion with nurse. ➨ Patient will set one realistic goal with nurse that he or she wishes to pursue. ➨ Patient will state a willingness to work on two realistic future goals. ➨ Patient will identify one new skills he or she has learned to help meet personal goals. ➨ Patient will demonstrate ability to reframe and dispute cognitive distortions with assistance of a nurse/clinician. ➨ Strengths and weaknesses in performance at work/school.daily-life tasks. ➨ Strengths and weaknesses as to physical appearance, sexuality, personality. Identify with client with realistic areas of strength and weaknesses. Client and nurse can work on the realities of the self-appraisal, and target those areas of assessment that do not appear accurate. Maintain a neutral, calm, and respectful manner, although with some clients this is easier said than done. Helps client see himself or herself as respected as a person even when behavior might not be appropriate. Review with the client the types of cognitive distortions that affect self-esteem (e.g., self-blame, mind reading, overgeneralization, selective inattention, all-or-none thinking). These are the most common cognitive distortions people use. Identifying them is the first step to correcting distortions that form one’s self-view. Teach client to reframe and dispute cognitive distortions. Disputes need to be strong, specific, and nonjudgmental. Practice and belief in the disputes over time help clients gain a more realistic appraisal of events, the world, and themselves. Work with client to recognize cognitive distortions. Encourage client to keep a log. Cognitive distortions are automatic. Keeping a log helps make automatic, unconscious thinking clear. Keep in mind clients with personality disorders might defend against feeling of low-self-esteem through blaming, projection, anger, passivity, and demanding behaviors. Many behaviors seen in PD clients cover a fragile sense of self. Often these behaviors are the crux of clients’ interpersonal difficulties in all their relationships. Discourage client from making repetitive self-blaming and negative remarks. Unacceptable behavior does not make the client a bad person, it means that the client made some poor choices in the past. Discourage client from dwelling on and “relieving” past mistakes. The past cannot be changed. Dwelling on past mistakes prevents the client from appraising the present and planning for the future. Discuss with client his or her plans for the future. Work with client to set realistic short-term goals. Identify skills to be learned to help client reach his or her goals. Looking toward the future minimizes dwelling on the past and negative self-rumination. When realistic short-term goals are met, client can gain a sense of accomplishment, direction, and purpose in life. Accomplishing goals can bolster a sense of control and enhance self-perception. Focus questions in a positive and active light; helps client refocus on the present and look to the future. For example. “What can you do differently now?” or “What have you learned from that experience?”. Allows client to look at past behaviors differently, and gives the client a sense that he or she has choices in the future. Give the client honest and genuine feedback regarding your observations as to his or her strengths, and areas that could use additional skills. Feedback helps give clients a more accurate view of self, strengths, areas to work on, as well as a sense that someone is trying to understand them. Do not flatter or be dishonest in your appraisals. Dishonesty and insincerity undermine trust and negatively affect any therapeutic alliance. Set goals realistically, and renegotiate goals frequently. Remember that client’s negative self-view and distrust of the world took years to develop. Unrealistic goals can set up hopelessness in clients and frustrations in nurse clinicians. Clients might blame the nurse for not “helping them,” and nurses might blame the client for not “getting better”. Impaired Social Interaction: Insufficient or excessive quantity or ineffective quality of social exchange. ➨ Biochemical changes in the brain. ➨ Disruptive or abusive early family background. ➨ Unacceptavle social behavior or values. ➨ Alienating others through angry, clinging, demeaning, and/or manipulative behavior or ridicule toward others. ➨ Destructive behavior toward self or others. ➨ Dysfunctional interaction with peers, family, and/or others. ➨ Observed use of unsuccessful social interaction behaviors. ➨ Patient will identify and express feelings as they occur with nurse. ➨ Patient will identify two personal behaviors that are responsible for relationship difficulties within two weeks. ➨ Patient will identify one specific area that requires change. ➨ Patient will verbalize decreased suspicions and increased security. ➨ Patient will begin to demonstrate an increase in nonviolent behaviors as evidenced by a reduction in reported outbursts. ➨ Patient will begin to demonstrate a reduction in manipulative behaviors as evidenced by nurse/staff. ➨ Patient will state that he or shes is willing to continue in follow up therapy. ➨ Patient will keep follow-up appointments. ➨ Patient will demonstrate, with the aid of the nurse/clinician, the ability to identify at least two unacceptable social behavior (manipulation, splitting, demeaning attitudes, angry acting out) that client is willing to change. ➨ Patient will work with the nurse/clinician on substituting positive behaviors for those unacceptable behaviors identified earlier on an ongoing basis. ➨ Pitting one person, staff, group against another. ➨ Frequently disregarding the rules. ➨ Constant engagement in power struggles. From the beginning, limits need to be clear. It will be necessary to refer to these limits frequently, because it is to be expected that the client will test these limits repeatedly. Expand limits by clarifying expectations for clients in a number of settings. When time is taken in initial meetings to clarify expectations, confrontations, and power struggles with clients can be minimized and even avoided. In a respectful, neutral manner, explain expected client behaviors, limits, and responsibilities during sessions with nurse clinician. Clearly state the rules and regulations of the institution, and the consequences when these rules are not adhered to. From the beginning, clients need to have explicit guidelines and boundaries for expected behaviors on their part, as well as what client can expect from the nurse. Clients need to be fully aware that they will be held responsible for their behaviors. Monitor own thoughts and feelings constantly regarding your response to the PD client. Supervision is strongly recommended for new and seasoned clinicians alike when working with PD clients. Strong and intense countertransference reactions to PD clients are bound to occur. When the nurse is enmeshed in his or her own strong reactions toward the client (either positive or negative), nurse effectivess suffers, and the therapeutic alliance might be threatened. Collaborate with the client, as well as the multidisciplinary team, to establish a reward system for compliance with clearly defined expectations. Tangible reinforcement for meeting expectations can strenthen the client’s positive behaviors. Assess need for and encourage skills training workshop. Skils training workshops offer the client wats to increase social skills through role play and interactions with others who are learning similar skills. This often acts as a motivating factor where positive feedback and helpful suggestions are readily available. Problem solve and role play with client acceptable social skills that will help obtain needs effectively and appropriately. Over time, alternative ways of experiencing interpersonal relationships might emerge. Take one small skill that client is willing to work on, break it down into small parts, and work on it with the client. Understand that PD clients in particular will be resistant to change and that this is symptomatic of PDs. This is particularly true in the beginning phases of therapy. Responding to client’s resistance and seeming lack of change in a neutral manner is part of the foundation for trust. In other words, the nurse does not have a vested interest in the client “getting better.”. The nurse remains focused on the client’s needs and issues in any event. ➨ All limits should be adhered to by all staff involved. ➨ Objective physical signs in managing clinical problems should be carefully documented. ➨ Behaviors should be documented objectively (give times, dates, circumstances). ➨ Provide clear boundaries and consequences. Client will test limits, and, once they understand that the limits are solid, this understanding can motivate them to work on other ways to get their needs met. Hopefully, this will be done with the nurse clinician throughout problem-solving alternative behaviors and learning new effective communication skills. Ineffective Coping: Inability to form a valid appraisal of the stressors, inadequate choices of practiced responses, and/or inability to use available resources. ➨ Failure to intend to change behavior. ➨ Lack of motivation to change behaviors. ➨ Negative attitudes toward health behavior. ➨ Trauma early in life (physical, emotional, or sexual abuse). ➨ Demonstration of nonacceptance of health status. ➨ Extreme distrust to others. ➨ Failure to learn or change behavior based on past experience or punishment. ➨ Failure to achieve an optimal sense of control. ➨ Superficial relationship with others. ➨ Patient will identify behaviors leading to hospitalization. ➨ Patient will have an increased in frequency of expressing needs directly without ulterior motives. ➨ Patient will learn and master skills that facilitate functional behavior. ➨ Patient will demonstrate an increase in impulse control. ➨ Patient will demonstrate a use of a newly learned coping skill to modify anxiety and frustration. ➨ Patient will demonstrate decreased manipulative, attention speaking behaviors. ➨ Patient will not act out anger toward others while hospitalized. ➨ Patient will remain safe while hospitalized. ➨ Patient will spend time with the nurse and focus on one thing he or she would like to change. ➨ Patient will state that he/she will continue the treatment on an outpatient basis. ➨ Patient will talk about feelings and perceptions and not act on them at least twice. ➨ Patient will focus on one problem and work through the problem-solving process with the nurse. ➨ Patient will practice the substitution of functional skills for times of increased anxiety with the nurse. Review intervention guidelines for each personality disorder in this chapter. All clients are individuals, even within the same diagnostic category. However, guidelines for specific categories are helpful for planning. Identify behavioral limits and behaviors that are expected. Client needs clear structure. Expect frequent testing of limits initially. Maintaining limits can enhance feelings of safety in the client. Identify what the client sees as the behaviors and circumstances that lead to the hospitalization. Ascertain client’s understanding of behaviors and responsibility for own action. Ascertain from family/friends how the person interacts with significant people. Is the client always withdrawn, distrustful, hostile, have continuous physical complaints? Identifying baseline behaviors helps with setting goals. Approach the client in a consistent manner in all interactions. Enhances feelings of security and provides structure. Exceptions encourage a manipulative behavior. Refrain from sharing personal information with the client. Open up areas for manipulation and undermines professional boundaries. Be aware of flattery as an attempt to feed into your needs to feel special. Giving into client’s thinking that you are “the best” or “the only one” can pit you against other staff and undermine client’s need for limits. Do not receive any gift from the client. Again, clouds the boundaries and can give the client the idea that he or she is due special consideration. If the client becomes seductive, reiterate the therapeutic goals and boundaries of treatment. The client is in the hospital/clinic for a reason. Being taken in by seductive behavior undermines effectiveness of the treatment. Be clear with the client as to the unit/hospital/clinic policies. Give brief concrete reasons for the rules, if asked, and then move on. Institutional policies provide structure and safety. Be very clear about the consequences if policies/limits are not adhered to. Client needs to understand the consequences of breaking the rules. When limit or policies are not followed, enforce the consequences in a matter-of-fact, nonjudgmental manner. Enforces that the client is responsible for his or her own actions. Make a clear and concrete written plan of care so other staff can follow. Helps minimize manipulations and might help encourage cooperation. If feasible, devise a care plan with the client. If goals and interventions are agreed upon, cooperation with the plan is optimized. If the client becomes hostile or projects blame onto you or staff, project a neutral, calm demeanor, and avoid power struggles. Focus on the client’s underlying feelings. Defuses tension and opens up productive interaction. When appropriate, try to understand underlying feelings prompting inappropriate behaviors. Often acting out behaviors stem from underlying feelings of anger, fear, shame, insecurity, loneliness, etc. Talking about feeling can lead to problem solving and growth for the client. Some clients might attempt to instill guilt when they do not get what they want. Remain neutral but firm. 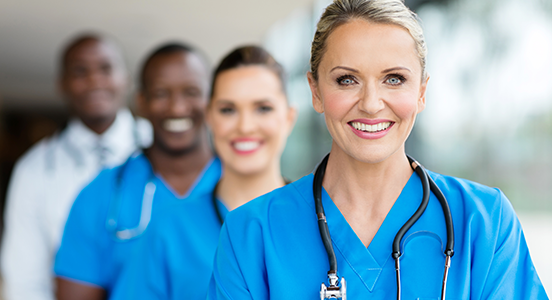 Nurses often want to be seen as “nice” However, being professional and maintaining limits is the better therapeutic approach. Keep goals very realistic and go in small steps. There are no overnight successes with people with personality disorders. It can take a long time to positively change ingrained, life-long, maladaptive habits; however, change is always possible. Client might not know how to articulate the problem. Helping identify alternatives gives the client a sense of control. Evaluating the pros and cons of the alternatives facilitates choosing potential solutions. When the client is ready and interested, teach client coping skills to help defuse tension and trouble feelings (e.g., anxiety reduction, assertiveness skills). Increasing skills helps the client use healthier ways to defuse tensions and get needs met. Guard against personal feelings of frustration and lack of progress. Change if often very slow and may seem to take longer than it actually is. Nurture yourself outside the job. Keep your “bucket” full of laughter and high regard from family and friends. 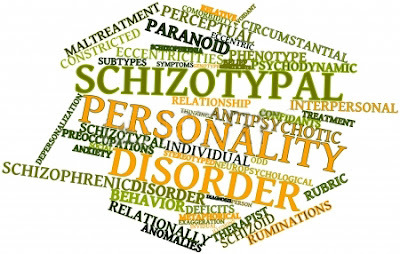 Understand that many people with personality disorders do not stay with the treatment and often come to facilities because of crisis or court order. Even short encounters with therapeutic persons can make a difference when a client is ready to learn more adaptive ways of living his or her life. Give the client positive attention when behaviors are appropriate and productive. Avoid giving any attention (when possible and not dangerous to self or others) when client’s behaviors are inappropriate. Reinforcing positive behaviors might increase the likelihood of repetition. Ignoring negative behaviors (when feasible) robs client of even negative attention. Assess for self-mutilating or suicide thoughts or behaviors. Self-mutilating and suicide threats are common behaviors for clients with BPD. Clients with BPD can be manipulative. Consistent limit setting helps provide structure and decrease negative behaviors. Encourage the client to explore feelings and concerns (e.g., identify fears, loneliness, self-hate). Client is used to acting out feelings. Be nonjudgmental and respectful when listening to client’s feelings, thoughts, or complaints. Clients have an intense fear of rejection. Use assertiveness when setting limits on client’s unreasonable demands for attention and time. Firm, clear, nonjudgmental limits give client structure. Interventions often call for responses to client’s intense and labile mood swings, irritability, depression, and anxiety: Many of the dysfunctional behaviors of BPD clients (e.g., parasuicidal, anger, manipulation, substance abuse) are used as “behavioral solutions” to intense pain. Irritability, anger: Use interventions early before anxiety and anger escalate. Clients with BPD are extremely uncomfortable and want immediate relief from painful feelings. Anger is a response to this pain. Intervening early can help avoid escalation. Depression: Client might need medications to help curb depression. Observe for side effects and mood level. Most clients with BPD suffer profound depression. Anxiety: Teach stress-reduction techniques such as deep breathing relaxation, meditation, and exercise. Clients experience intense anxiety and fear of abandonment. Stress reduction techniques help the client focus more clearly. Provide and encourage the client to use professionals in other in other disciplines such as social services, vocational rehabilitation, social work, or the law. Clients with BPD often have multiple social problems. Often they do not know how to obtain these services. Clients with BPD benefit from coping skills training (e.g., anger management skills, emotional regulation skills, interpersonal skills). Provide referrals and/or involve professional experts. Client learns to refine skills in changing behaviors, emotions, and thinking patterns associated with problems in living that are causing distress and misery. Clients with BPD often drop out of treatment prematurely. However, when they return, they can still draw upon what they have learned from previous encounters with health care personnel. Clients might become impatient and leave, then return in a crisis situation. It is a good thing when they are able to tolerate longer periods of learning. Treatment of substance abuse is best handled by well-organized treatment systems, not by an individual nurse/clinician. Keeping detailed records and having a team involved with each client can minimize manipulation.